You are the current highest bidder! To be sure to win, log in for the live auction broadcast on 17 Nov 2017 10:00 GMT or increase your max bid. 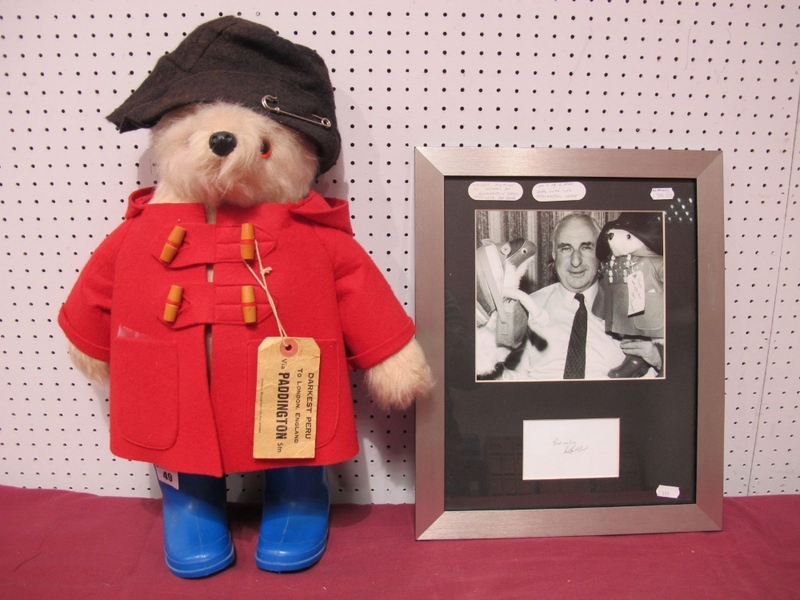 A Gabrielle Paddington Bear, circa 1980, red duffle coat, blue boots, brown felt hat, Darkest Peru to London, England ticket, together with a framed photograph and autograph of Michael Bond - author of Paddington Bear books.